From spots and lines to pimples and acne, the road to beauty is fraught by many potential challenges. For years, we’ve looked for effective treatments that would work to counteract these skin conditions and ensure silky smooth, blemish-free skin in the process. Unfortunately, expensive high-tech solutions like laser surfacing, often fail to produce the kind of results that users demand. With no shortage of beauty products around, it can be hard to find a cosmetic procedure that actually lives up their promise. In the 90’s chemical peels enjoyed a burst of short-lived popularity. For a while it seemed like every magazine was singing the praises of these skincare treatments that promised to lift away decades of dead cells and reveal the younger, vibrant skin beneath. While many of these resurfacing procedures did work to reverse breakouts and visible signs of aging, the benefits came at a very real cost. Often, treatments could be long and painful with significant recovery time required as a result. However, recent technical advancements have given dermatologists the tools to completely redefine this treatment. Rather than aggressively attacking the surface skin, modern VI peels work to infuse the underlying dermis with a complex mixture of ingredients that work to restore and reveal your skin’s natural beauty. What Makes VI Peels So Revolutionary? This specially formulated mixture of fast-acting natural acids produces startling results in people of all ages, skin types and ethnicities. Unlike traditional peels, VI peels produce only mild tingling and far less visible peeling. So patients can minimize their downtime and earn the benefits of far better skincare in the bargain. VI peels also support the production of more collagen which brings vibrancy, fullness and texture back to aging skin. 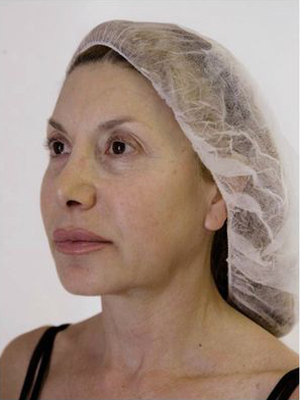 While mainstream laser resurfacing treatments can take several visits before producing satisfactory results, a VI peel can show significant impacts within one week. But if you’re struggling with years of skin damage you can keep coming back on a more frequent basis without worrying about any adverse side effects. In short, the VI peel is safe, effective and extremely convenient. • All procedures are performed by a trained medical staff. • The aesthetician will thoroughly scrub your skin before administering treatment. • The first layer of the peel will be applied. • After a sufficient period of time has elapsed, a second layer is added. • In total, the procedure will take about 30 minutes. After the second layer is applied, patients can leave the facility and resume normal activities without issue. • After around 5 hours, the mask can be washed off. • Initially, your skin will reveal a brighter appearance but no visible peeling will be apparent. • Skin begins to peel by the second day, with effects lasting up to six more days. The visible effect is similar to sunburn.  Increases production of collagen and hyaluronic acid in the skin producing more vibrant, radiant complexion.  Skin-care products perform better with no dead skin cells in their path.  Chemical compositions can be adjusted depending on the specific characteristics of your skin.  Minimizes acne, pimples and blackheads while working to reduce pitted scarring from these breakouts.  Control dark splotchy patches created by sustained sunlight exposure.  Helps to clear up dark circles around the eyes.